One great way to make friends if you are new expat in Hong Kong is to join one of the women’s networking groups, such as the American Women’s Association of Hong Kong (AWA). The AWA is celebrating its 60th anniversary this year, and has a lot to be proud of, as it continues to embrace the virtues of philanthropy, and to support and enhance the Hong Kong community. The AWA was founded in 1956 as a non-profit, charitable organisation, with just over 50 members, each of whom had a passion to improve the lives of Hong Kong residents. The group’s goal was to provide service to the local community by supporting worthy projects, charities and educational programmes. Fast-forward 60 years, and that goal has been realised and surpassed, time and time again. Today, with a membership of over 650 women from all over the world, the AWA raises over HK$1 million annually, which is distributed to those in need. 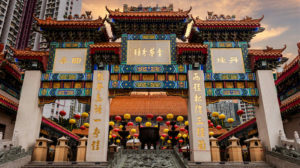 The AWA offers social, sporting and cultural activities to its members, which connect them with the community of Hong Kong. Members can reach out through the forum to ask questions about life here, and connect with a diverse group of women who can share their experiences and advice. With activities such as CHAT (Come Have A Talk) coffee mornings, OWL (Out With the Ladies) wine evenings, book clubs, city tours and hiking groups, there are plenty of social events to take part in too. The AWA also supports its members in the workforce, with its WOW (Women on the Way Up) group offering networking events, guest speakers and meet-ups. The AWA also offers opportunities to volunteer in the local community, with services such as reading to the blind, assisting the elderly, student mentoring programmes and helping with fundraising events, such as the annual charity bazaar. The AWA has members from over 30 nations, representing a broad range of ages, interests and backgrounds, and it welcomes everyone, whether you’re new to Hong Kong or a long-term resident. Membership is valid for 12 months from the date you join for an annual fee of HK$1,200. To celebrate six decades of service in Hong Kong, the AWA is held its 60th Anniversary Gala on 22 October at the Aberdeen Marina Club. The evening, featuring guest speaker the Honourable Anson Chan, recognised the successes of the organisation, and celebrated the power and achievements of women in our community. We have heaps more advice and tips on living in Hong Kong.